A bingo community without a mascot is boring. 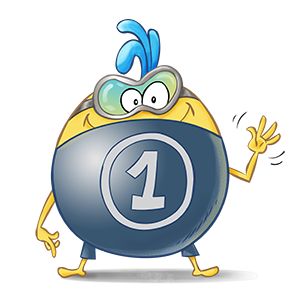 Some of the sites we respect the most, like CyberBingo and BingoMania, all have great mascots who have been an essential element of their community. When we first thought about the kind of mascot would best represent the type of community BonusBingo.com will become, we had tons of ideas, but we always kept coming back to the idea of a group of mascots instead of the traditional solo mascot. Today, as we near the launch of BonusBingo the new bingo site, we are excited to introduce to you the Binions. These three adorable characters will delight and bring you great fun as you get to enjoy the games and excitement at our site. We don’t yet have an official name for the Binions. But as our community grows, you can count, we will together name these adorable characters and perhaps, introduce a few more friends along the way. BonusBingo.com is a pay to play bingo & slots site. Minimum age is 18. Play responsibly and in moderation. Do not consider social gaming as a way of earning money, and only play with money that you can afford to lose. If you are worried about your overplay or affected by someone else's activity levels, please contact GamblersAnonymus for help. Please login to play now.